That right, not just one galaxy this week. 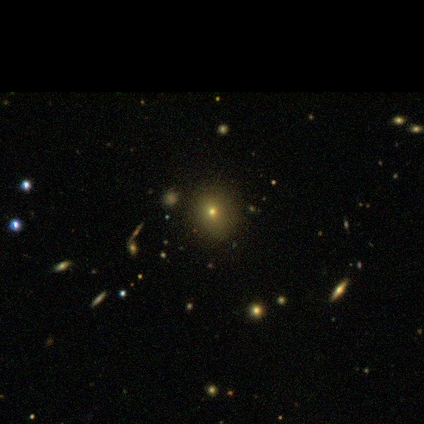 This is a beautiful image of a galaxy cluster from Galaxy Zoo. How many individual galaxies can you identify in it? Next Next post: Look at the Camera, Mom!